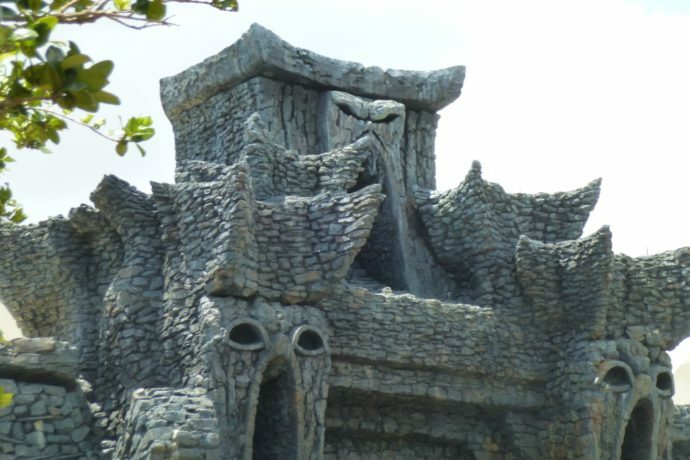 Work never seems to let up on the facade for Skull Island: Reign of Kong at Universal’s Islands of Adventure. I was able to grab some photos on my recent visit this week and it’s looking just as amazing as ever. There seems to be something being constructed on the ground near the left-most side of the area. Not sure if it’s going to stay there or be moved into place later. Check it out and let me know what you think it is. This will be just a small photo update since my last big update with video. If you haven’t yet, please check out the video from my last update as it explains some of the concept art by comparing it to the construction site. Check out today’s photos below! The view beside the Toon Lagoon walls. Seems like they’re building a wall or structure on the left? That’s all for this Kongstruction update. View the previous update. And be sure to watch the latest video if you haven’t yet already! Note: All images taken from within guest areas only.